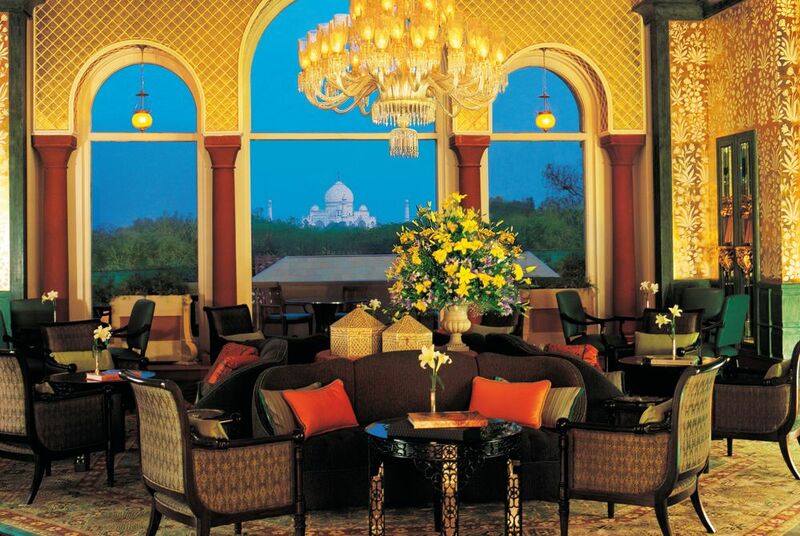 The Oberoi Amarvilas in Agra is a Moorish and Moghul fantasy in the shadow of the Taj Mahal. 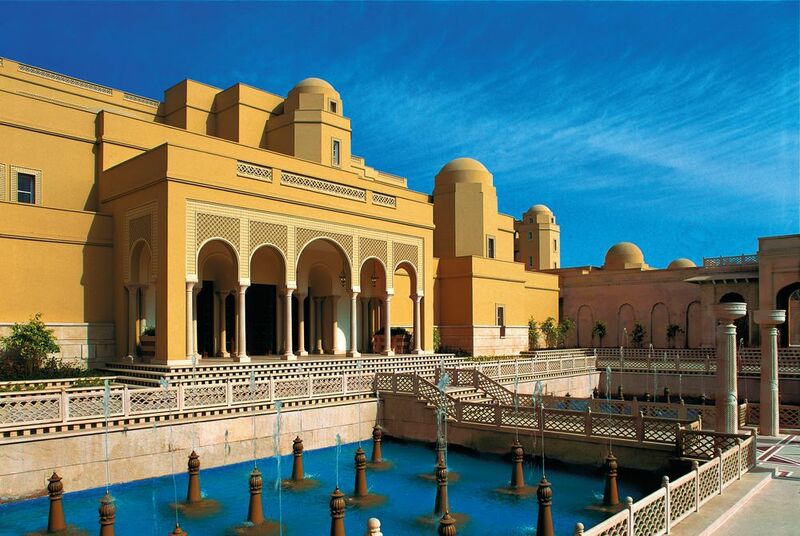 Turbaned bellhops greet guests at the entrance, leading them to a gold-leafed lobby through a spotlit courtyard, where classical music accompanies the splashing of 64 fountains and softly lit halls are hung with antique silks. 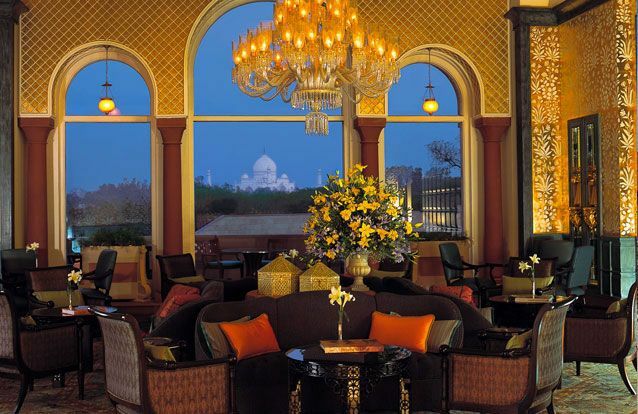 Location, location, location; the Oberoi Amarvilas, set just 600 metres from the Taj Mahal, offers unrivalled views of India's most iconic monument. 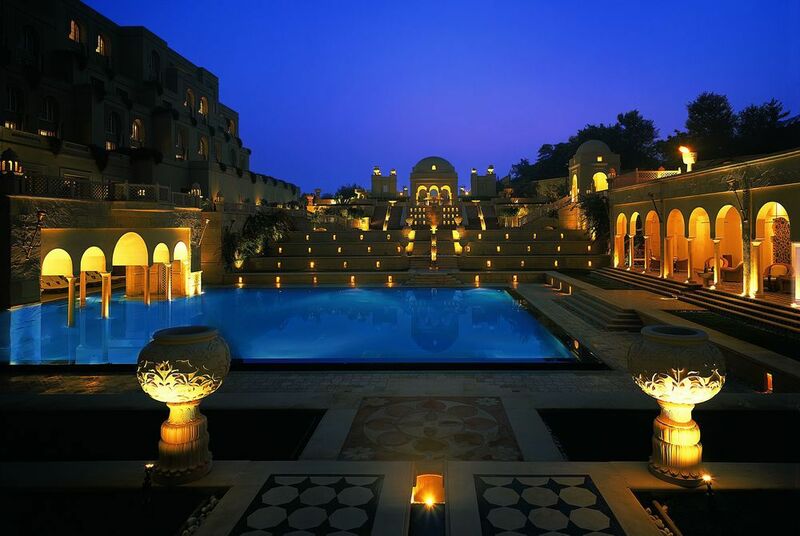 Watch in awe as the first rays of dawn strike the perfect marble dome and sit spellbound as the changing tones of sunset cast mesmerising colours across the gleaming white façade. At night, revel in the romance of the ultimate monument to love, bathed in moonlight just yards from your window. 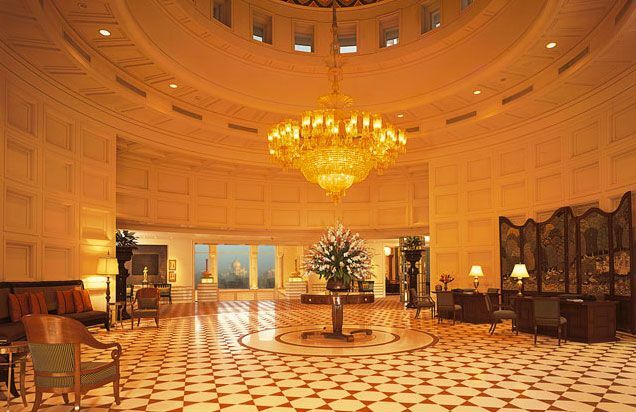 Yes, in terms of location, the Oberoi Amarvilas really is the only place to stay. 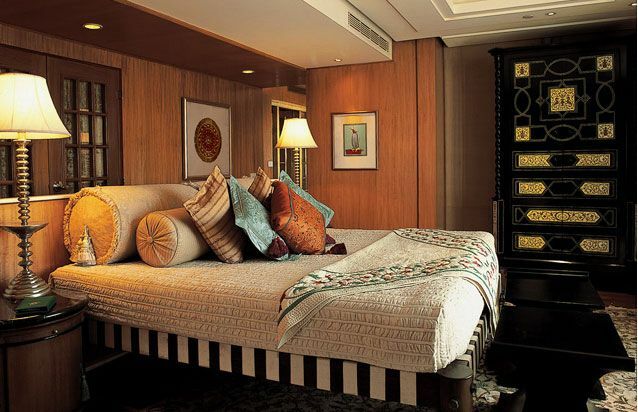 Accommodation at the Oberoi Amarvilas consists of a selection of luxurious rooms and suites, all of which feature stylish furniture, beautiful hand-woven fabrics and spacious marble bathrooms. 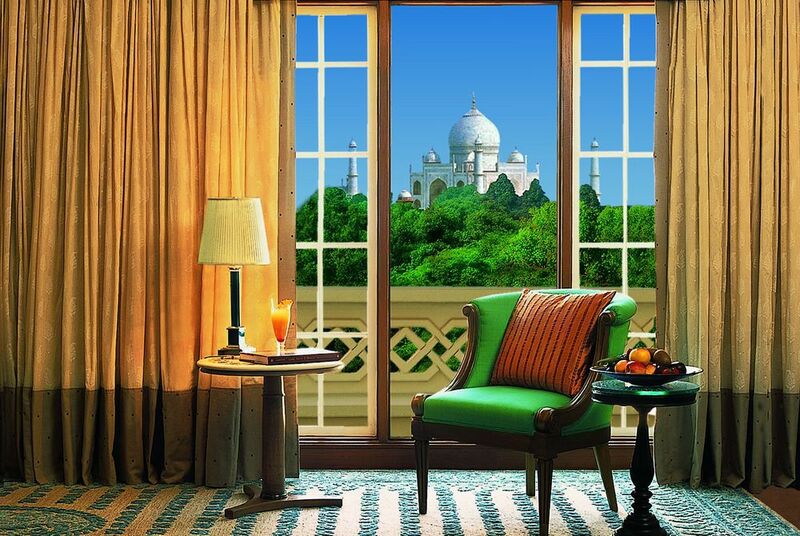 Premier Rooms with Balcony and above all offer superb views across the hotel's landscaped gardens to the Taj Mahal beyond. The hotel's two restaurants offer fine international and Indian cuisine, served in stylish surroundings. 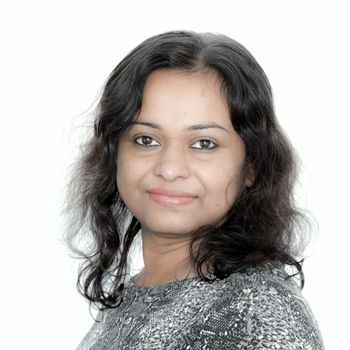 The Esphahan specialises in traditional Indian dishes and is open for dinner only; reservations are strongly recommended. 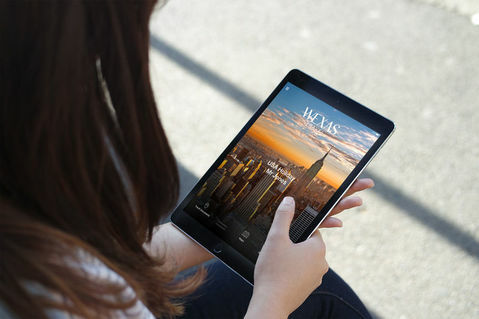 Bellevue Restaurant serves breakfast, lunch and dinner and features a wide selection of Indian classics and international favourites. A decadent spa, offering a range of massages and treatments; a comprehensive range of fitness facilities; and a superb swimming pool, make up the hotel's leisure facilities. 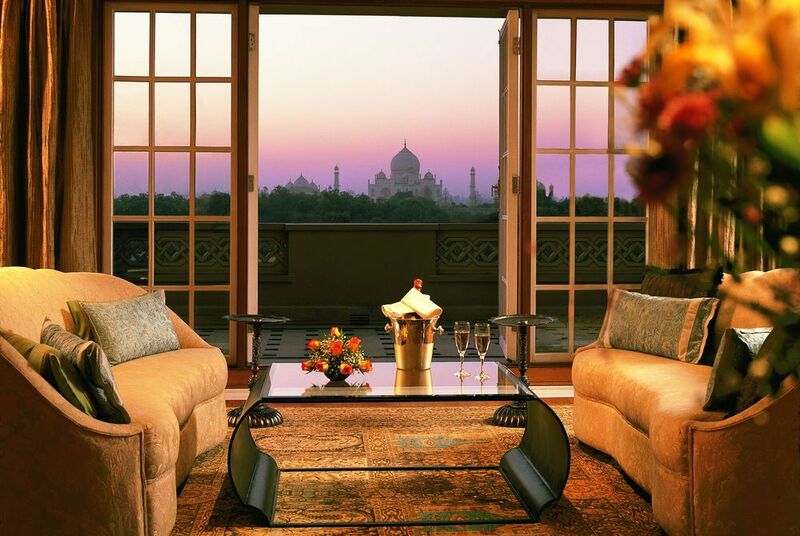 Unwind and relax after a day exploring the Taj Mahal and Agra Fort with one of the spa's Ayurvedic treatments or indulge in an energising Thai massage in the calming surroundings of one of the private treatment rooms. 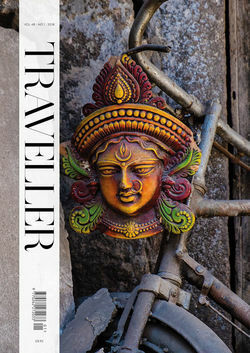 Chaotic, colourful and captivating, the Indian cities of Delhi, Agra and Jaipur, collectively known as the Golden Triangle, are home to some of the country's most resplendent architecture, vibrant street life and fascinating cultural heritage.